Welcome to the Not Your Average Nice Guys Podcast! Welcome to the Not Your Average Nice Guys Podcast where a group of coworkers talks about their everyday working lives as employees of the legal California Cannabis Industry. Our show is dedicated to educating listeners about the validated benefits of cannabis for health, as well as giving them an eye into the industry as it climbs out of the wild west and into a fully regulated market. Join us for a high conversation. 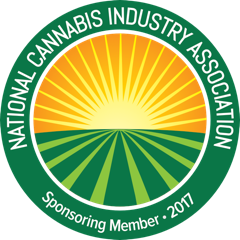 Last November, Nice Guys traveled to Las Vegas, NV for the annual MJBizcon Cannabis Conference. Thanks to the help of Flow kana mini joints 707 flower and the creative energy obtained from experiencing something new, we manifested the idea to start a podcast. Our podcast is all-inclusive - meaning you’ll be hearing from most of the members on our team, if not everyone at some point. We each come to Nice Guys from our own unique backgrounds and we cherish the fact that cannabis is what brings us together. We started this podcast to shine light on the industry and help educate people so they no longer have to fear marijuana. Where else can I find the show?